Andrew Revkin is a leading environmental journalist, author and educator who has spent more than 30 years covering global change, from the North Pole to the White House to the Amazon, mainly for The New York Times. As Pace University’s Senior Fellow for Environmental Understanding since 2010, he has developed or co-developed innovative courses in blogging, environmental communication and documentary film. He has won the top American awards in science journalism multiple times, along with a Guggenheim Fellowship, and is widely recognized for fairness and a pursuit of reality in a polarized media environment. This doesn’t come without perils. The conservative radio commentator Rush Limbaugh once suggested that he kill himself if he thought population growth was such an important issue. Revkin has written acclaimed books on global warming, the changing Arctic and the violent assault on the Amazon rain forest, as well as three book chapters on science communication. 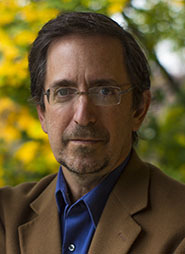 Drawing on his experience with his New York Times blog, Dot Earth, which Time Magazine named one of the top 25 blogs in 2013, Revkin has spoken to audiences around the world, including at the United Nations and Vatican, about the role of communication innovation in forging progress on a turbulent planet. Revkin was on the inaugural Engagement Committee of the international Future Earth initiative and is on advisory boards of the Earth Observatory of Singapore and the Stony Brook University School of Journalism. In spare moments, Revkin is a performing songwriter and was a frequent accompanist for Pete Seeger. In 2013 he released his first CD of original songs. Two films have been based on his work: “Rock Star” (Warner Brothers, 2001) and “The Burning Season” (HBO, 1994), which starred Raul Julia and won two Emmy Awards and three Golden Globes.